At Toongabbie Primary School we believe that tailored whole school approaches enable us to be teach our students in a way that addresses their individual learning needs. In the Foundation Year our students are introduced to letters and sounds through Jolly Phonics. Jolly Phonics is a fun and child centred approach to teaching literacy through synthetic phonics and teaches children five key skills to begin reading and writing. 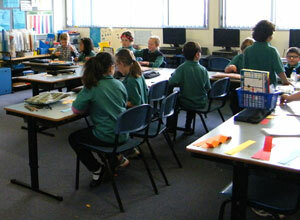 The Junior, Middle and Senior class students are grouped according to their ability for Spelling Mastery classes. These sessions are conducted four times a week and provide students with life long spelling ability through direct instruction. teachers working together regularly to achieve excellent results and continuity that encourages students to build upon what they have learnt each year. Numeracy at Toongabbie Primary School is taught through physical experiences and inquiry based learning strategies not only in Math sessions but also in other classroom settings such as Music and Fine Art. Our research shows that this approach builds confidence in students to take risks and problem solve – two essential elements of becoming a great math learner. Our students are encouraged to work in teams to solve mathematical problems and to see the numeracy questions that exist in the world around them. Our current five year trajectory shows we are achieving better results in literacy and numeracy than any time since 2011. 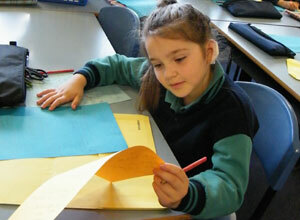 A broad and balanced educational program is provided at Toongabbie Primary School based on the Victorian Essential Learnings Standards (VELS) introduced in 2006 which is now called AusVELS. AusVELS is based on the VELS triple-helix structure. It comprises the three interconnected areas of learning called strands, described below. Students learn the knowledge, skills and behaviours in the arts, English, humanities, mathematics, science and other languages. 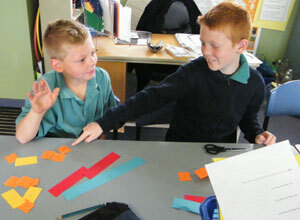 Students explore different ways of thinking, solving problems and communicating. 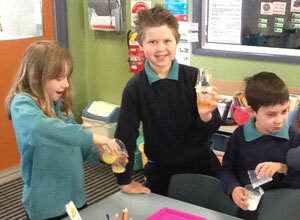 They learn to use a range of technologies to plan, analyse, evaluate and present their work. 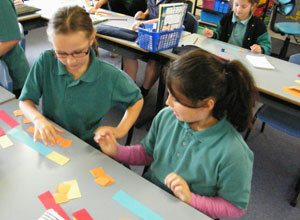 Students learn about creativity, design principles and processes. More information about the AusVELS structure can be obtained by clicking here. We have a computer to child ratio of 1 to 3, with extra individual laptops available for children in the integration program.